Issue a fashion statement by wearing these 14K gold-plated earrings styled with super-skinny lines. 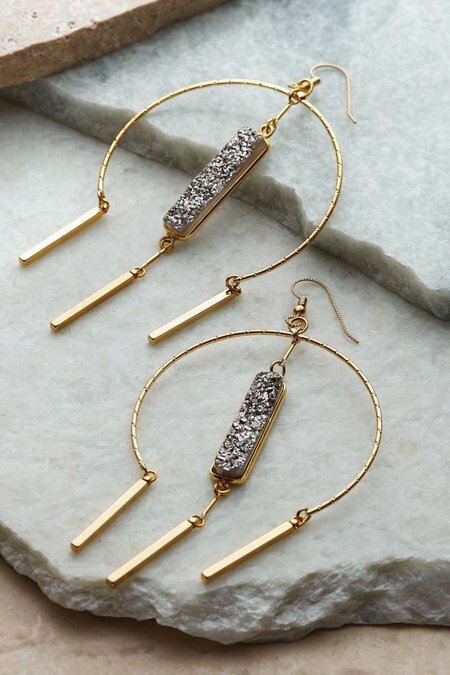 A sleek open hoop pairs with slim bar pendants and a central rectangle of sparkling druzy to finish the look. Delicate, shimmering, and dripping with intrigue.